The paper begins by providing a classification of the regulatory environment within which Business Schools, particularly those in the U.K., operate. The classification identifies mandatory vs. voluntary and prescriptive vs. permissive requirements in relation to the Business and Management curriculum. Three QAA Subject Benchmark Statements relating to Business and Management, the AMBA MBA guidelines, and the EQUIS and AACSB standards are then compared and contrasted with each other. 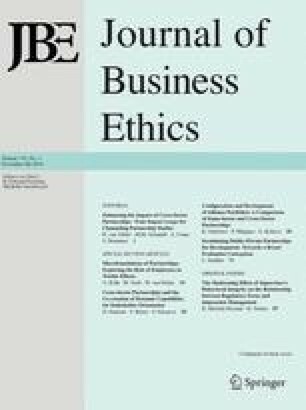 The cognitive and affective learning outcomes associated with business ethics contained in each of these statements are then detailed. The conclusion is that from an international perspective compliance with relevant standards, while requiring due consideration, should be relatively straightforward. From a U.K. perspective, however, the QAA Subject Benchmark Statements provide the most rigorous standards and to meet these will require considerable development on the part of many Business Schools in the U.K. For those academics engaged in this area, however, this represents an opportunity not to be missed.